How recruit more candidates by increasing Linkedin response rates. Cold calling is ridiculed for being a soulless activity, however, sending endless Linkedin messages can be even more emotionally draining. 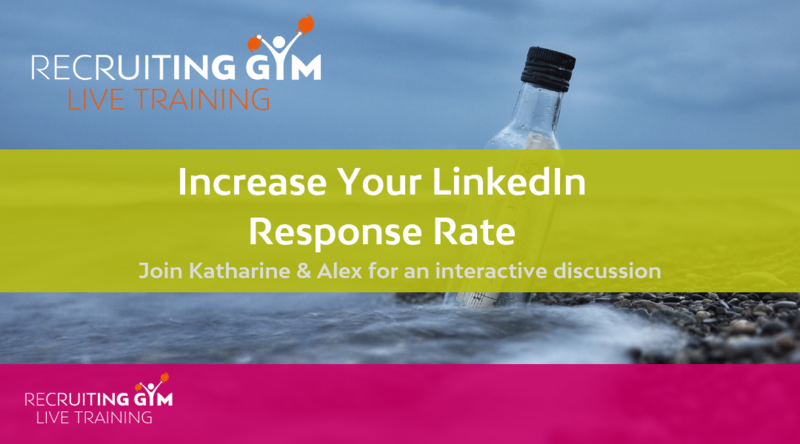 In this Learning Live Recruiting Gym coaches Alex Moyle and Katherine Robinson talking about sending InMails, LinkedIn messages, and connection requests. What does it take to be a Grand Master Sourcer? What are the Pro’s and Con’s of Linkedin messaging? What are the key attributes of a successful message title? What can Recruiters do to improve the quality of their messages? What do you do when candidates do not respond on Linkedin? Could video messaging improve response rates? PreviousRecruitment Is A Numbers Game – Do You Know Yours?